​Path of Exile leveling guide is a useful reference for players looking to jump into the latest expansion for the ongoing action role-playing game. The latest "Synthesis" expansion will release this Friday, Mar 8, and the previous league "Betrayal" came to an end ​earlier today. With a few days of break, continuing players will get an opportunity to level up new characters or farm up existing ones on the ​various fantasy races. It also gives returning or new players a chance to get to grips with the game ahead of the expansion and learn the ropes of building a character. 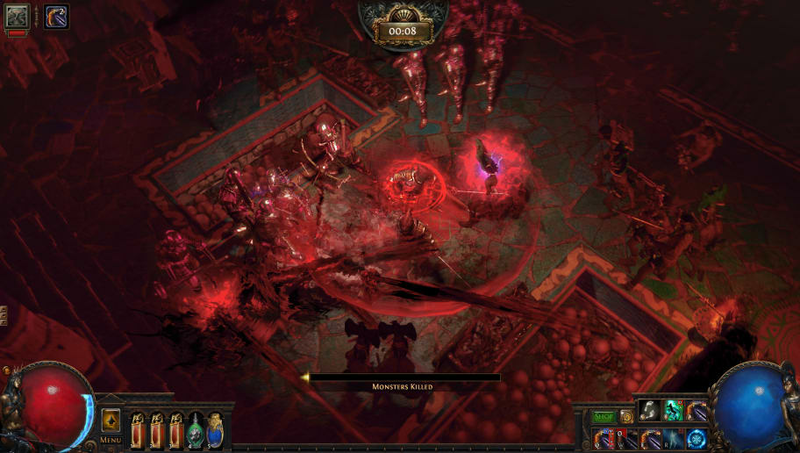 Heavily based on Blizzard's Diablo II, Path of Exile can be fairly difficult and complex, but its core principles are the same. Characters level up by gaining experience through completing quests and defeating enemies, developing their abilities, and earning newer and more powerful gear. There are a few easy tricks that can help understand how to level up most efficiently. Loot efficiently; a lot of loot isn't worth the space in your inventory. Jewelry and accessories are normally worth holding on to in case they come together for a neat combination, but otherwise save space for items that have actual sale value.